Mike Epps’ upcoming turn as a young, nervous, distracting-from-Zoe-Saldana’s-makeup Richard Pryor in the Nina Simone biopic may not be the only fake version of the late comedian slated to hit movie screens. 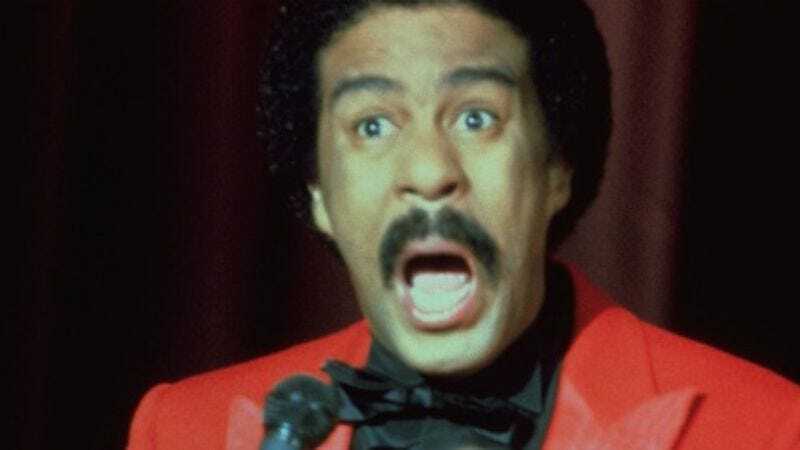 Deadline reports that the Pryor biopic that’s been off-and-on in the works for nearly two decades is back on again, this time under the stewardship of Forest Whitaker—an actor whose own legendary appearances on Def Comedy Jam have been described as “really uncomfortable” and “possibly just something we imagined.” Whitaker assumes control of a project that, in its most recent incarnation, was being produced under Adam Sandler’s Happy Madison banner with Marlon Wayans playing Pryor, a film that never existed because director Bill Condon left to do Twilight (just one of many reasons to stop being angry at that franchise). Whitaker will start fresh with a new script, director, and star—so call your agent, Channing Tatum. He misses you.